↑ 9,0 9,1 Gérard Chaliand, Nomadic Empires: From Mongolia to the Danube translated by A.M. Berrett, Transaction Publishers, 2004. translated by A.M. Berrett. Transaction Publishers, p.75. 0-7658-0204-X. Limited preview at Google Books. 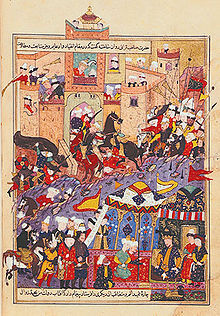 p. 75., 0-7658-0204-X, p.75., "Timur Leng (Tamerlane) Timur, known as the lame (1336–1405) was a Muslim Turk. He aspired to recreate the empire of his ancestors. He was a military genius who loved to play chess in his spare time to improve his military tactics and skill. And although he wielded absolute power, he never called himself more than an emir. 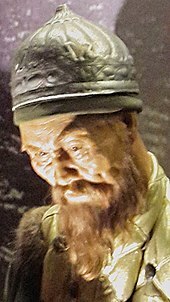 ", "Timur Leng (Tamerlane) Timur, known as the lame (1336–1405) was a Muslim Turk from the Umus of Chagatai who saw himself as Genghis Khan's heir." ↑ Richard C. Martin, Encyclopedia of Islam and the Muslim World A-L, Macmillan Reference USA, 2004, 978-0-02-865604-5, p. 134. ↑ Matthew White: Atrocitology: Humanity's 100 Deadliest Achievements, Canongate Books, 2011, 9780857861252, section "Timur"
↑ Carter V. Findley, The Turks in World History, Oxford University Press, 2005, Oxford University Press, 2005, 978-0-19-517726-8, p. 101. ↑ G. R. Garthwaite, The Persians, Malden, 978-1-55786-860-2, MA: Blackwell Pub., 2007. 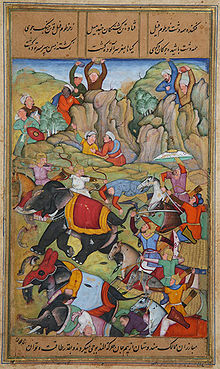 (p.148) Quotation: "Timur's tribe, the Barlas, had Mongol origins but had become Turkic-speaking ... 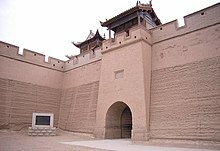 However, the Barlus tribe is considered one of the original Mongol tribes and there are "Barlus Ovogton" people who belong to Barlus tribe in modern Mongolia." ↑ M.S. Asimov & Clifford Edmund Bosworth, History of Civilizations of Central Asia, UNESCO Regional Office, 1998, 92-3-103467-7, p. 320: "One of his followers was [...] Timur of the Barlas tribe. 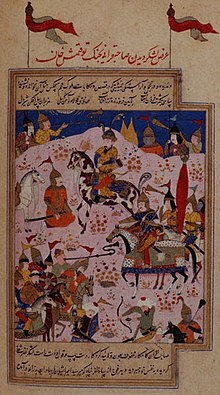 This Mongol tribe had settled [...] in the valley of Kashka Darya, intermingling with the Turkish population, adopting their religion (Islam) and gradually giving up its own nomadic ways, like a number of other Mongol tribes in Transoxania ..."
↑ 48,0 48,1 Virani, Shafique N. The Ismailis in the Middle Ages: A History of Survival, A Search for Salvation (New York: Oxford University Press), 2007, p. 116. ↑ 77,0 77,1 Virani, Shafique N. The Ismailis in the Middle Ages: A History of Survival, A Search for Salvation (New York: Oxford University Press), 2007, p. 114. ↑ Manz, Beatrice Forbes (1999). 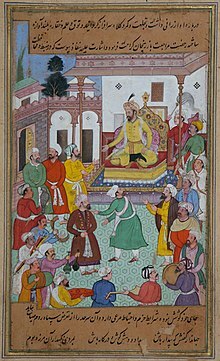 The Rise and Rule of Tamerlane. Cambridge University Press, p. 109. 0-521-63384-2. Limited preview at Google Books. p. 109. 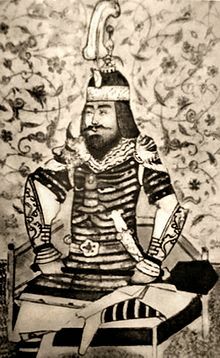 "In Temür's government, as in those of most nomad dynasties, it is impossible to find a clear distinction between civil and military affairs, or to identify the Persian bureaucracy as solely civil or the Turko-Mongolian solely with military government. In fact, it is difficult to define the sphere of either side of the administration and we find Persians and Chaghatays sharing many tasks. (In discussing the settled bureaucracy and the people who worked within it I use the word Persian in a cultural rather than ethnological sense. 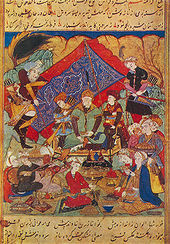 In almost all the territories which Temür incorporated into his realm Persian was the primary language of administration and literary culture. 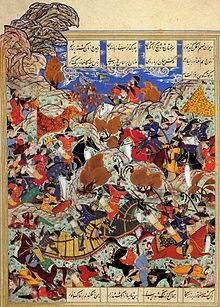 Thus the language of the settled 'diwan' was Persian and its scribes had to be thoroughly adept in Persian culture, whatever their ethnic origin.) 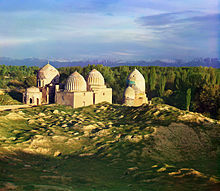 Temür's Chaghatay emirs were often involved in civil and provincial administration and even in financial affairs, traditionally the province of Persian bureaucracy." 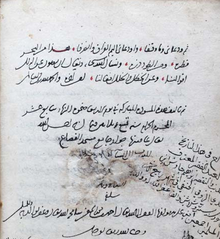 ↑ ad-DīnʿAlī Yazdī Sharaf (1723)։ The History of Timur-Bec 1։ էջեր xii–ix Punctuation and spelling modernized. Лэн-Пуль Стенли. Мусульманские династии / Пер. с англ. В. В. Бартольда. — М.: Восточная литература РАН; Муравей, 2004. — 312 с.
Ру Ж.-П. Тамерлан / Пер. с фр. Е. А. Соколова. — М.: Молодая гвардия, 2007. — 295  с.: ил. — 4-е изд. — («Жизнь замечательных людей»). Катанов Н. Ф. Предание тобольских татар о грозном царе Тамерлане // Ежегодник Тобольского губернского музея : журнал. —Тобольск, 1898. — Т. IX. — С. 50-52. Хукхэм Хильда. Властитель семи созвездий. — Ташкент: Адолат, 1995. — 320 с.
Тимур Великолепный//журнал «Вокруг света (журнал)», № 2 (2773), февраль 2005. Narrative of the Embassy of Ruy Gonzalez De Clavijo to the Court of Timour, at Samarcand, A.D.1403-6 — Full text at Google Books. Тимур — Бюст гипсовый, тонированный. 70х35х20 см. Реконструкция М. М. Герасимова, 1941 г.
Гийасаддин Али. Дневник похода Тимура в Индию / Пер. с перс., предисл. и примеч. А. А. Семёнова. — 2-е изд. — М.: Изд-во восточной лит-ры, 1958. — 208 с.
Ибн Арабшах История эмира Тимура / Пер. Х. Н. Бабабекова = Аджайиб ал-макдур фи тарих-и Таймур. — 2-е изд. — Ташкент: Институт истории народов Средней Азии имени Махпират, 2007. Уложение Тимура / Пер. с перс. Хамидуллы Караматова. Под ред. Б. Ахмедова. — Ташкент: Издательство литературы и искусства имени Гафура Гуляма, 1999. Фома Мецопский. История Тимур-Ланка и его преемников / Пер. с древнеарм. Т. Тер-Григоряна, А. Баграмяна. — Баку, 1957. — 104 с.
Шараф ад-Дин Али Язди. Зафар-наме. — Ташкент: Сан’ят, 2008. — 484 с.
Шильтбергер И. Путешествия Иоганна Шильтбергера по Европе, Азии и Африке с 1394 года по 1427 год / Пер. с нем. и комм. Ф. К. Бруна. — Ташкент: Шарк, 1997. — 240 с.